A highly anticipated meeting between President Donald Trump and Deputy Attorney General Rod Rosenstein was postponed until next week to avoid conflicting with a dramatic Senate hearing involving Supreme Court nominee Brett Kavanaugh, the White House said Thursday. WASHINGTON (AP) — A highly anticipated meeting between President Donald Trump and Deputy Attorney General Rod Rosenstein was postponed until next week to avoid conflicting with a dramatic Senate hearing involving Supreme Court nominee Brett Kavanaugh, the White House said Thursday. Amid speculation that the meeting could result in Rosenstein’s dismissal or resignation, Trump said Wednesday that he would “certainly prefer not” to fire Rosenstein and that the Justice Department’s No. 2 official had denied making the remarks first attributed to him in a New York Times report. 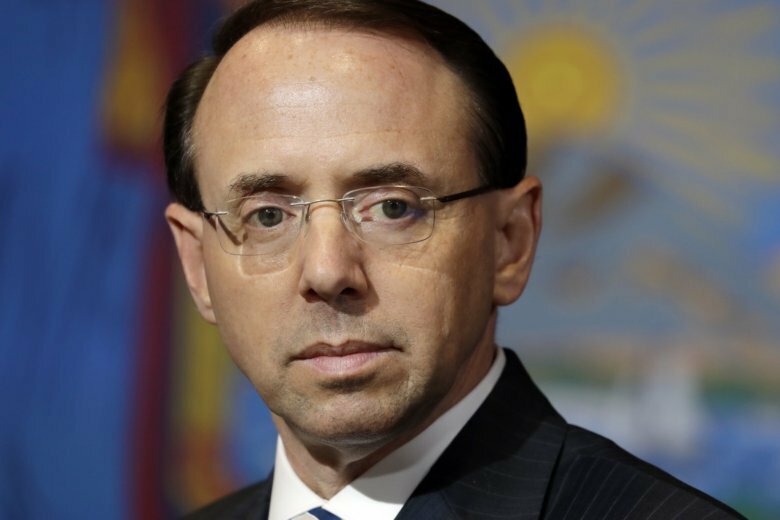 Rosenstein is overseeing special counsel Robert Mueller’s investigation into Russian interference in the 2016 election, and his dismissal would put that probe in jeopardy and create a political storm. The meeting delay prolongs the uncertainty of Rosenstein’s status. Rosenstein headed to the White House on Monday morning preparing to be fired and had discussed a possible resignation over the weekend with White House officials. But after meeting with chief of staff John Kelly and speaking by phone with Trump, he got a reprieve with the Trump meeting scheduled for Thursday. Friends and former colleagues of Rosenstein say they don’t expect him to step aside and give up oversight of the Russia investigation and the enormous swath of Justice Department operations for which he is responsible. Trump’s remarks Wednesday followed a chaotic period that began last Friday with reports that Rosenstein had last year discussed possibly secretly recording the president and invoking the Constitution to remove Trump from office. The Justice Department issued statements aimed at denying the reports, including one that said the wiretap remark was meant sarcastically. Though Rosenstein appears poised to survive the week, it’s not clear how much longer he’ll be around. Trump has signaled that he may fire Sessions after the November midterms, and Rosenstein could go with him. Associated Press writers Chad Day, Ken Thomas and Michael Balsamo in Washington and Zeke Miller in New York contributed to this report.